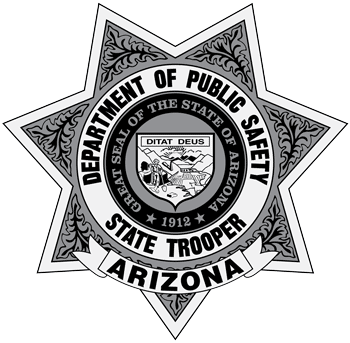 The Arizona Department of Public Safety’s (AZDPS) Arizona State Gang Task Force, in collaboration with the Globe Police Department, the Gila County Sheriff’s Office, the Show Low Police Department and the Gila County Attorney’s Office, crippled an organized criminal network which sold illicit drugs within Gila and Navajo Counties. The investigation code-named, “Operation Globetrotter,” began in September 2018 and since its inception, the operation has yielded 11 search warrants, the arrest of 85 suspects, the seizure of drugs, stolen vehicles, firearms and U.S. currency. Of the 11 search warrants, seven were completed between February 6 and 7, 2019, within the city of Globe and neighboring communities. During the two-day warrant roundup, 25 suspects were arrested, including many gang members or associates. Felony warrants have been issued for six suspects who are still outstanding. “Operation Globetrotter struck a crippling blow to a criminal network and the pervasive crime associated with dangerous drug sales in the area. The action taken by the State Gang Task Force and our partners in law enforcement serves to make Globe and the surrounding communities safer,” said Colonel Frank Milstead, Director of the Arizona Department of Public Safety. *Supplemental video footage and photographs depicting several arrests made by GIITEM on February 6, 2019, is linked on below on this page.